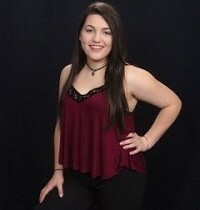 Megan Flatley is a local teen singer/song writer. She has always been interested in music and plays a variety of instruments. She has performed at many venues including the Kennett Flash, Philadelphia’s Christmas Village, The Deck, Stone Harbor and World Cafe Live. She has played in both band settings and as a solo artist. She will sing and play piano/keyboard to some contemporary songs as well as debut her most recent original song. She is excited to be performing for the Haverford Music Festival for 2015!